W0766: Structure B4Structure B-4 is also known variously as the Temple of the Sun God and the Temple of the Masonry Altars. 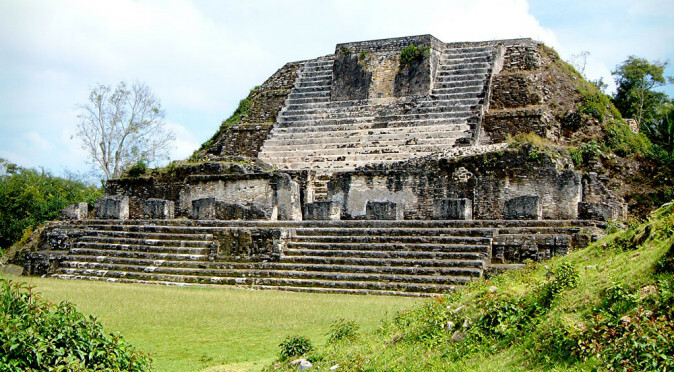 Structure B4 was first developed in around 550AD – a period of intense building activity at Altun Ha – although the temple as it stands today is the result of developments that were made between 600-650AD. 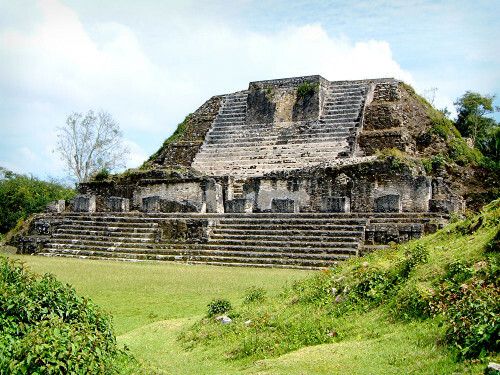 The temple follows a design that was first noted at nearby Lamanai – in particular Structure N10-43. This distinctive style incorporates a low-level terrace on which the main temple enclosure is situated. The pyramid structure then continues to rise behind the temple (in this case, to a height of 59 feet). Although this principle suggests a link to nearby Lamanai, the technique is also found at Teotihaucan where the dominating pyramids of the Sun and the Moon both feature temple platforms midway rather than on top. The elongated temple enclosure on Structure B4 featured 9 doors (the remains of the doorway pillars can be seen on the low-level platform in fig. W0766). This is a also a distinctive feature of Tikal, where nine sets of “Twin Pyramids” have been uncovered which are arranged east-west around a small plaza with an identical temple enclosure featuring nine doorways situated on the southern side (the number nine is thought to be a reference to the nine layers of the underworld, known as Xibalba). W0765: Mask on Structure B4 On either side of the stairway leading to the first temple are large carved masks (fig. W0766). The masks wear pointy hats, which has led to the belief they are effigies of the God of kingship in the eastern Mayan region. The so called “Jester God” is also depicted on Stela 9 at Lamanai atop Smoking Shell’s headdress, where the snarling God wears a large pointed hat (which looks like a jester’s hat from Medieval Europe – hence the name). 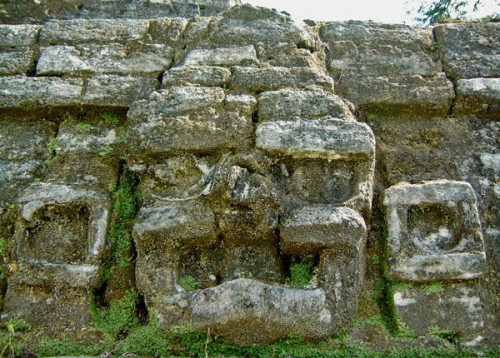 However, the masks on Structure B-4 share far greater similarities to the Puuc rendition of the rain-god Chaac and the Teotihuacan rain-god, Tlaloc. In fact, the masks are virtually identical to the mask uncovered on Structure 5D-33 at Tikal, which were added in around the 5th century when Teotihuacan was thought to have been heavily involved at the city. Teotihuacan’s interest in this region was probably the precious jade trade. At Altun Ha, it is clear there was an abundance of jade as it was frequently used as a burial good and frivolously burnt in rituals – one burial within Structure A1 was found with over 300 pieces and around the altars of Structure B-4 archaeologists found jade pieces that had been burned with copal (it is these remarkable altars which give Structure B4 the alternative name of the Temple of the Masonry Altars). 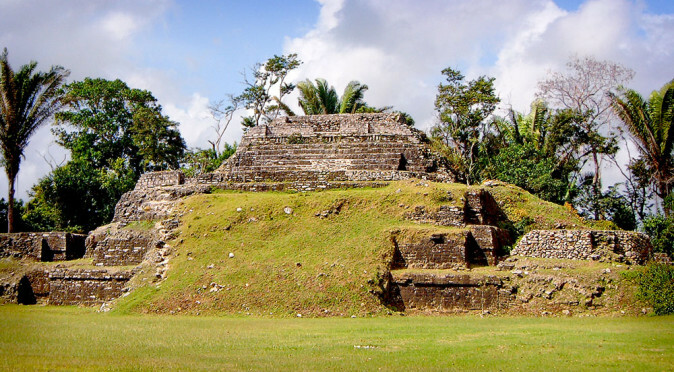 There is a theory that Altun Ha may have been a centre for the manufacture of carved jade, which is why so many chippings could be offered as burial and burned offerings. This theory is supported by the incredible Jade Head that was found within Structure B4, from which the temple gets its other alternative name – the Temple of the Sun God (click here to read more about the Jade Head). 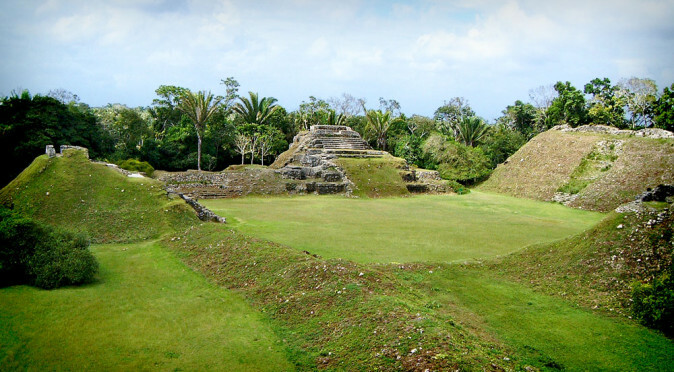 Although barely excavated, the few structures that have been uncovered, and the treasures found within, demonstrate that Altun Ha was a major player in the Mayan territories. 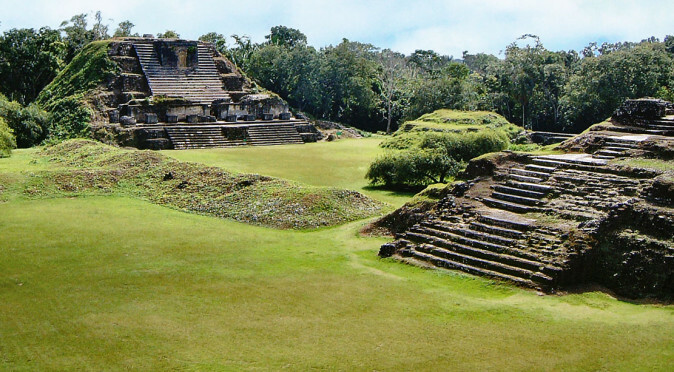 Plaza A was the main ceremonial centre at Altun Ha from 250AD onwards and was home to a remarkable 6th century tomb, featuring over 300 jade objects. Although it is completely dominated by Temple B4, the rest of the buildings in Plaza B suggest it was a residential area for the royalty of Altun Ha. 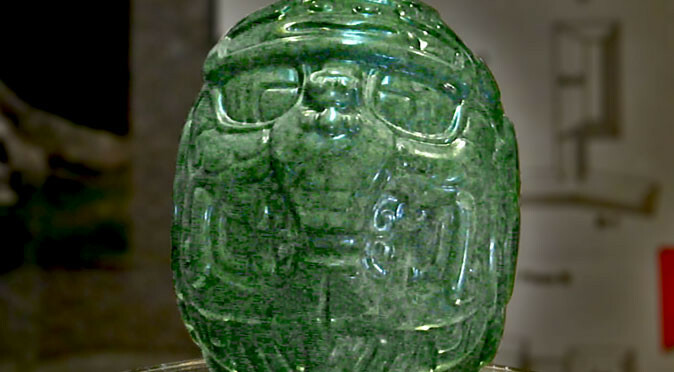 The Jade Head found at Altun Ha is the largest single piece of carved jade yet discovered in Mesoamerica. However, despite its obvious importance, very little is known about it.